Autism Berkshire delivers a wide range of leisure and social activities for children and adults living with autism. Children can benefit from our youth groups and longstanding favourites such as trampolining sessions and the Games Club, as well as the Lego Club. Autistic adults enjoy meeting up at our social groups, the 197 Club in Reading, the Bear With Me group, which meets in Maidenhead, and the Bracknell adult social group, as well as the Level Up Club, where the focus is on video and board games. Events for all the family are also available, with regular fun days at the Thames Valley Adventure Playground in Taplow, along with special events, such as an excursion to the Warner Brothers Studio Tour London – the home of the Harry Potter films. This group for adults with autism spectrum conditions in Windsor and Maidenhead meets on Wednesday evenings at The Bear pub, 8-10 High Street, Maidenhead, SL6 1QJ. Helen Harris is the coordinator of this group. All prospective members of this group must be referred by a professional support worker. Referrals can be made by downloading the Bear With Me registration form, which should be completed and returned to the Autism Berkshire office by email to admin@autismberkshire.org.uk or by post to 40 Caversham Road, Reading, RG1 7EB. The club is open to young people aged 16 to 25 with autism spectrum conditions who live in Berkshire and is run by Kevin Jackson. We have places available for new members – please get in touch using the details below. Meetings to play video and board games, including Pokemon TCG, are held on the first and third Saturdays of each month, except August, between 2pm and 4pm, at Emmer Green Youth and Community Centre, Grove Road, Reading, RG4 8LN. There is a charge of £5 per person, per meeting. Forthcoming sessions: April 20, May 4, May 18, June 1, June 15, July 6, July 20. For more information about the group or to request an application form, call 01189 594 594 or email contact@autismberkshire.org.uk The club is funded by the DM Thomas Foundation for Young People and the Ironmongers’ Company. This club for adults with autism spectrum conditions and their parents/carers meets fortnightly in Reading, normally on Monday evenings. Every other meeting takes place at The Outlook pub, 76/78A Kings Road, Reading, RG1 3BJ from 6.30pm-9.30pm. Venues for the other meetings vary and can include bowling arcades, restaurants or walks. The club’s co-ordinator is Kevin Jackson. Monday April 15: Meal at the House of Flavours Indian restaurant, 32-36 Kings Road, Reading. Meet at the restaurant at 7pm. Monday, May 13: The Outlook. Monday, May 20: Bowling in Wokingham. Meet at Wokingham Super Bowl, in Wellington Road, from 6.30pm. Monday, June 3: The Outlook. Saturday, June 22: First summer walk. Meet at Starbucks in the Riverside area of The Oracle Centre at 11am. This club for adults with autism spectrum conditions living in the Bracknell Forest area and their carers. It meets on Monday evenings (except bank holidays) from 6.30pm to 8.30pm at the Willows and Maples Children’s Centre, Priestwood Court Road, Bracknell, RG42 1TU. Forthcoming sessions: To be advised. This club for children aged eight to 15 with an autism spectrum condition diagnosis, or on the CAMHS waiting list for an autism assessment, and their siblings, meets twice a month in Reading. It gives children the chance to make friends, play board games and video games and take part in other activities, including table tennis, table football, art and crafts, or use the outdoor play equipment. Meetings are held on the second and fourth Saturdays of each month (except for school holidays), between 2pm and 4pm, at Emmer Green Youth and Community Centre, Grove Road, Reading, RG4 8LN. There is a charge of £5 per child, per meeting. Forthcoming sessions: April 27, May 11, May 25, June 8, June 22, July 13. Please note that because the club is funded by Reading Borough Council and Wokingham Borough Council as part of their Short Breaks programmes, we can only offer new places to children who are residents of the two borough council areas. 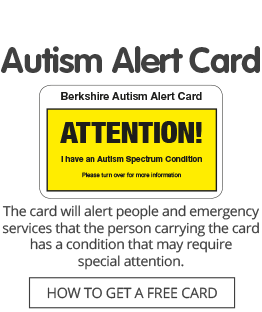 Contact the Autism Berkshire office using the details below for more information about the eligibility criteria. For more information about the club, call 01189 594 594 or email contact@autismberkshire.org.uk If you would like to register your child/children for the Games Club, please click here to complete our online registration form. 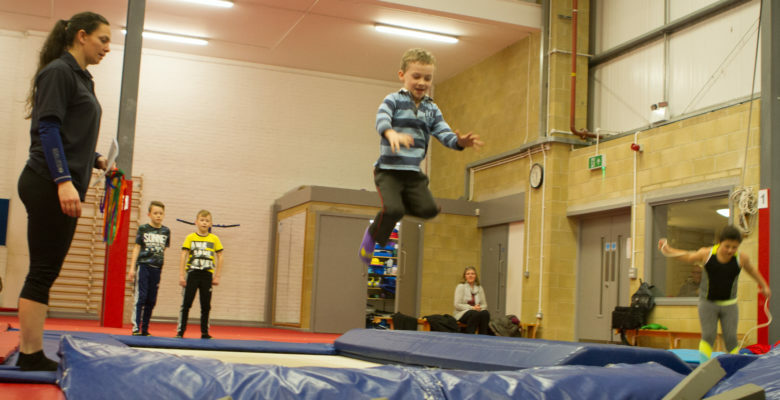 Autism Berkshire runs trampolining sessions for children and young people aged five to 17 with autism spectrum conditions in Reading and Bracknell, funded by the BBC’s Children in Need appeal. Classes are currently fully subscribed, but we are operating a waiting list. If you would like to put your child/children on the waiting list, please click here and complete the online registration form. Sessions in Reading are held at Crosfields School, Shinfield Road, RG2 9BL, and Meadway Sports Centre, Conwy Close, RG30 4BZ. Crosfields School Team A: To be advised. Crosfields School Team B: To be advised. Crosfields School Team C: To be advised. Crosfields School Team D:To be advised. Meadway Sports Centre: To be advised. Sessions in Bracknell are held at Bracknell Trampoline Centre, Coningsby, Bracknell, RG12 7BA. The centre is in the grounds of Brakenhale School. Summer Term dates: To be advised. We recently asked parents if their children would be continuing to attend trampolining sessions and were delighted to get lots of complimentary comments about the classes, along with their responses. Here is a selection. The club is for children aged eight to 15 with an autism spectrum condition and meets at Woolhampton, in West Berkshire. Sessions take place on Saturdays from 9.30am to 11.30am at Woolhampton Village Hall, in Bath Road, RG7 5RE. There is a charge of £5 per child, per session. Forthcoming sessions: April 27, May 11, May 25, June 8, June 22. Due to the club’s popularity, it is currently fully subscribed. We are operating a waiting list and will notify parents when places become available. Click here to complete our online registration form to put your child’s name on the waiting list for a place. We have been pledged a grant of £2,000 towards the costs of running the Lego Club for 2019-20 on condition that we raise another £2,000 to release this grant. Every £1 donated by individual donors will be matched by the Greenham Common Trust to help us reach our target. For more details and to make a donation, click here. The Bracknell Children and Young People Youth Group is for children and young people aged eight to 17 on the autism spectrum who live in the Bracknell Forest area and is funded by the East Berkshire NHS Clinical Commissioning Group. It provides an opportunity for children to meet others in the same situation, make new friends and have fun. Activities at the group’s sessions include table tennis, arts, crafts and board games and the chance to play a range of Wii and Xbox games. Meetings take place every Friday during school terms, between 4.30pm and 6.30pm, at Willows and Maples Children’s Centre, Priestwood Court Road, off Windmill Road, Bracknell, RG42 1TU. Forthcoming sessions: April 26, May 3, May 10, May 17, May 24, June 7, June 14, June 21, June 28, July 5, July 12, July 19. For more information about the group, call 01189 594 594 or email contact@autismberkshire.org.uk If you would like to register your child/children for the Bracknell CAYP Group, please click here to complete our online registration form. Autism Berkshire arranges fun days for its members and their families in alternate months. These are usually held at the Thames Valley Adventure Playground, in Taplow, near Maidenhead, SL6 0PR. What some of our members say about Family Fun Days The fun days give families the chance to relax and have fun in a safe, stimulating environment, specially designed for adults and children with special needs. The events are also a good opportunity to meet other parents and siblings of people living with autism. There is lots to do indoors and outdoors, whatever the weather, with the facilities including a sandpit and other outdoor play equipment, bikes, a soft playroom, sensory room and art and craft activities. TVAP fun days run on Sundays from noon to 4pm. Families are invited to bring their own lunch and we provide drinks. Please note that fun days are only open to Autism Berkshire members and their families. If you are not a member, please join us to be able to book tickets. Click here for details of membership. 2019 Fun Days: June 2, August 4, September 22, November 24.